Winter season unveils a lot of challenging situations outdoors due to hostile weather elements that will bring out the surviving skills out of everyone. 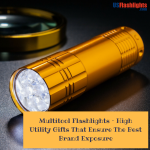 Marketers looking for an appropriate gift for their promotions will find multitool flashlights a perfect choice. Apart from being a handy source of light, these multitool flashlights will come handy in tackling a lot of outdoor challenges like fixing tents, fixing minor snags and a lot more. LED Multi Tools can be used to whittle wood to make fishing spears or to pull out the cactus spines stuck on your boots while on a hiking trip. Every time your recipients use these logo items, they will be reminded of your brand and set off word of mouth publicity. 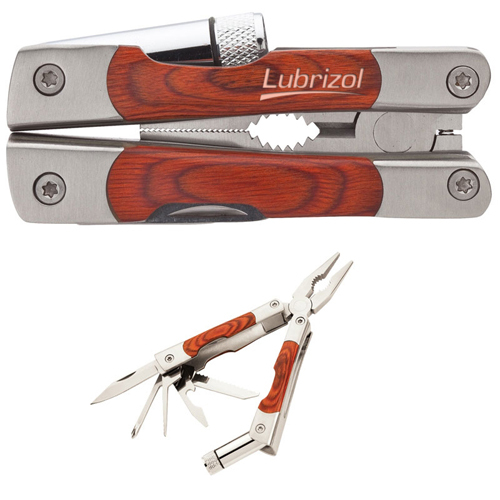 Multitools will make your clients and employees feel safe and well assured, which in fact will go a long way in enhancing their brand loyalty. Low in weight and handy, these logo items are easy to pack into the outdoor bags without adding the load. 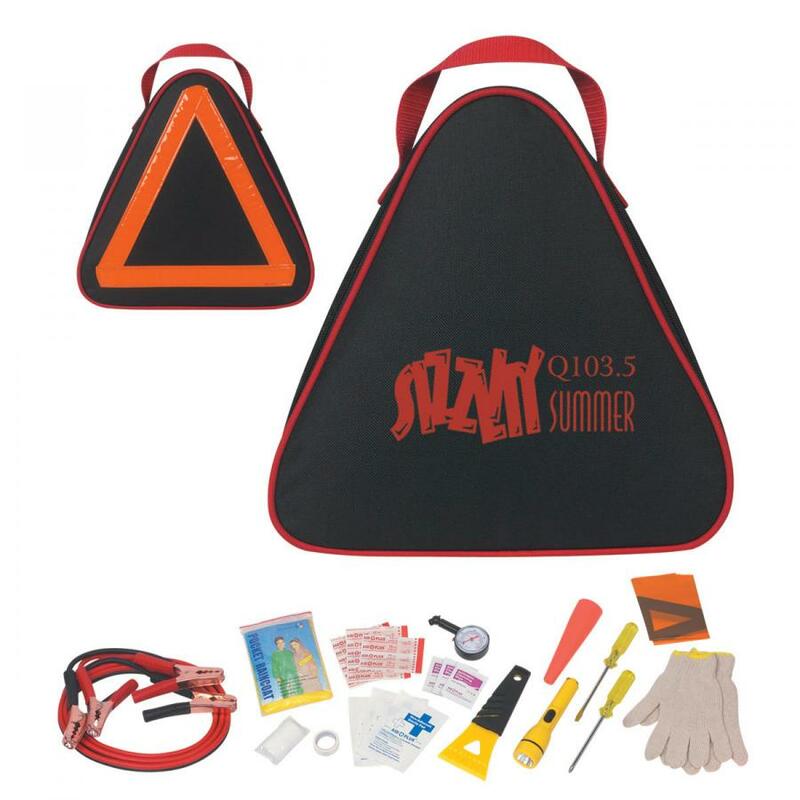 Auto Light and Tool Kits: It will make a highly useful handout during winter season as it ensures road safety and driving comfort. 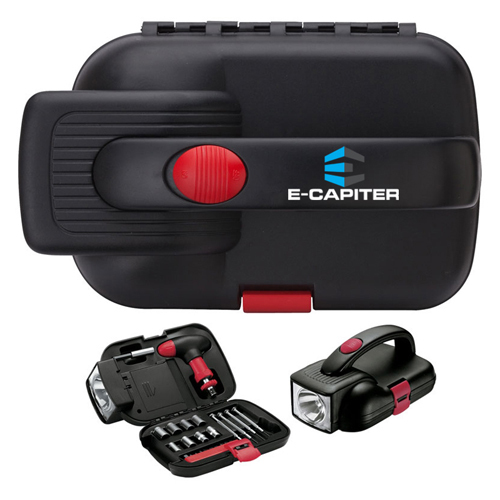 These highly popular auto light tool kits are equipped with two mini Phillips screwdrivers, nine driver bits, two mini flathead screwdrivers, eight sockets, socket adaptor in a locking ABS flashlight case are well suited to promote auto agencies and travel services. Well retained and highly functional, these logo items will continue to make consistent impressions for a very long time to come. 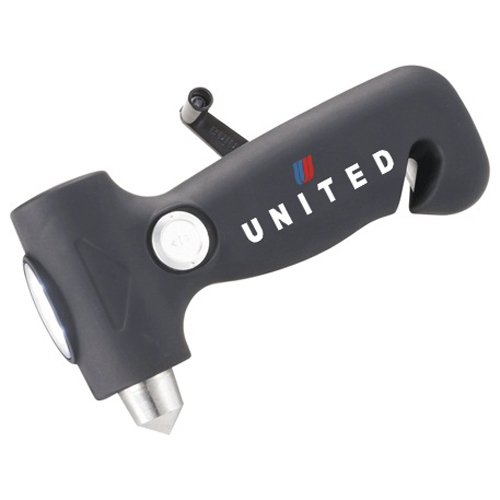 Multi-Purpose Tool with Flashlight ensures more value for your money. 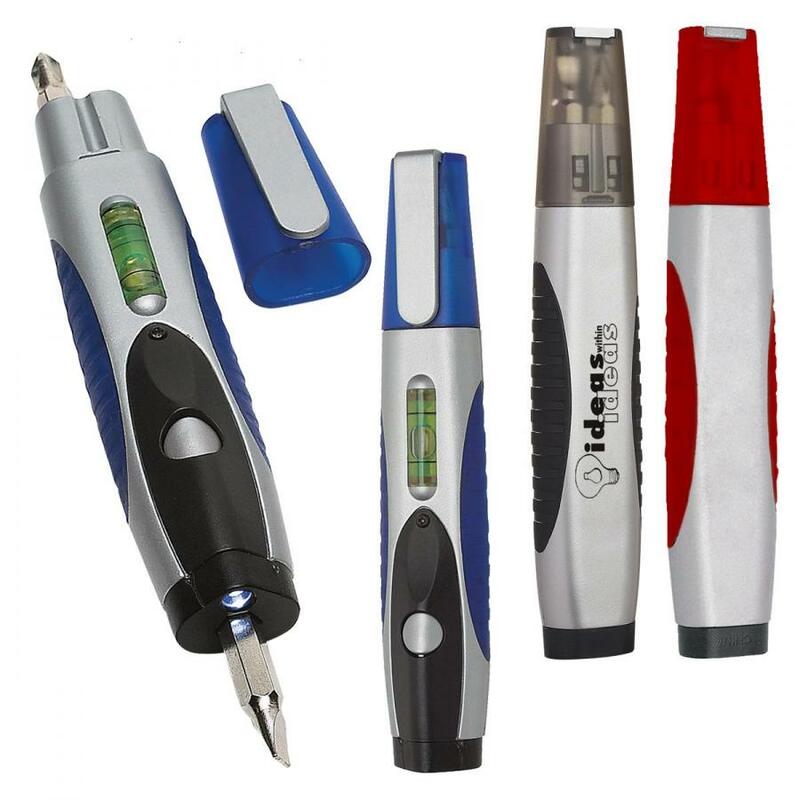 It features a small and medium sized reversible flat head/Philips head bit and a magnetic port for accepting bits and level too. 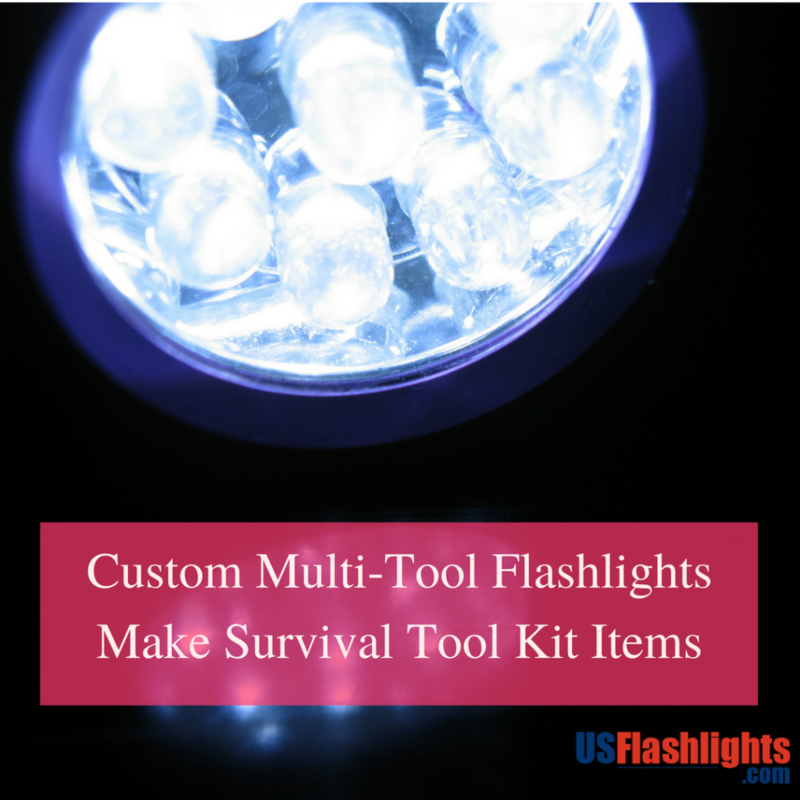 Survival Radio and 3 LED Flashlights: Made of sturdy ABS plastic, these multitools feature mini 3 LED flashlight, AM / FM radio, adjustable head, siren, flashing red safety light and a wrist strap. The 6V DC auto power option and crank dynamo generator to recharge will make it a reliable source of light during storm and power outages. 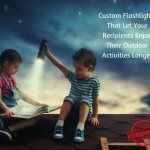 These eco-friendly flash lights are well suited to promote emergency services and disaster planning. 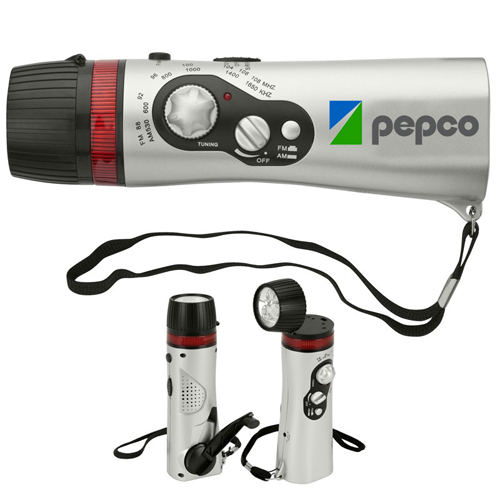 Multitool flashlights will earn a perfect score among your recipients when they are in a survival mode in an unfamiliar territory. Having a set of tools that can carry out minor repairs, ensure safety or help in procuring food or deal with unexpected events in chaotic circumstances will keep your recipients reassured. The best part is that these can be stored away neatly and can function as an entire toolkit. 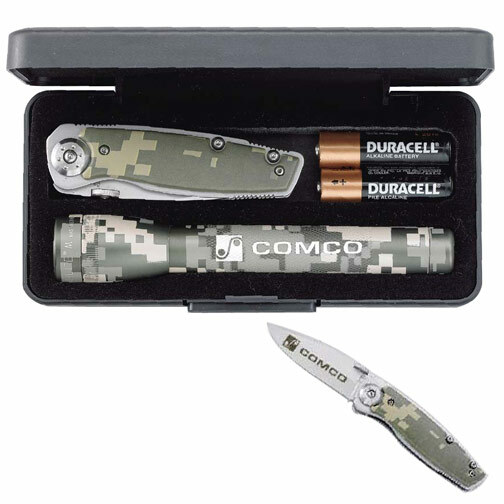 These multi tools will help your recipients to survive outdoors, building camp fires or even fish or hunt. 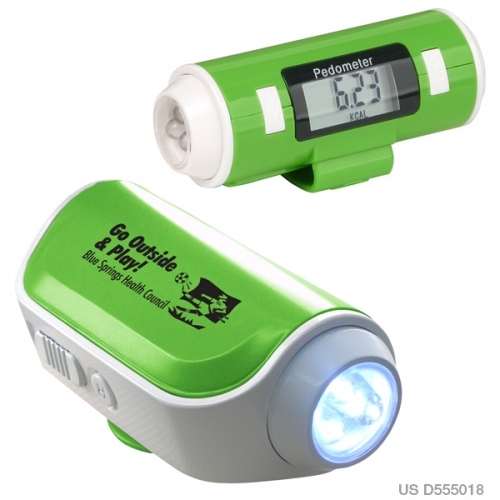 No matter whether your recipients are out on a camping trip or got stuck in the hostile weather in the middle of nowhere, these multitool flashlights will come to their aid and your brand on these will continue to be their favorite banter topic!